This blog post was written by Recovery Help Now’s, Elana Clark-Faler, LCSW. There are folks I know who over apologize. You might know someone. Maybe you over apologize. Why do folks do this? I think anxiety is a huge contributor to over apologizing. You might feel uncomfortable around others and not know what to say. You may not want to harm others or you may feel responsible for other people’s pain. Maybe, you carry a great deal of guilt. It could be cultural. What messages does over apologizing give to others? Why might it annoy others when you over apologize? These are all good questions to ponder, if you desire to change this behavior. 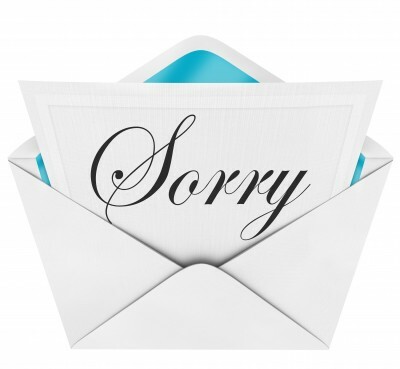 I encourage you to practice for a week to withhold from apologizing all together. What other words could you come up with if you truly hurt someone? What words would you come up with if you feel empathy or compassion for another? This exercise is good practice in deepening your vocabulary for feeling words and connecting to others in a meaningful way. To withhold from apologizing for a week will help you expand your vocabulary to connect with another human being. You will find yourself using body language and facial expressions to communicate your feelings. After you have completed this exercise for a week, then only apologize when you truly hurt another person (intentionally or unintentionally). This exercise allows you to pause before reacting, and to be mindful.